Villa with private pool amidst beautiful rolling countryside, total peace and tranquility, in the heart of the Dordogne. A Charming wooden chalet with a swimming pool and BBQ, all on the edge of a private fishing lake that contains carp up to 60lb and zander to 26lb. This 4 bedroom house with private pool is located in Dolus-d'Oléron and sleeps 9 people. It has WiFi, barbeque facilities and garage. The house is near a beach. This 8 bedroom house with private pool is located in Saint-Georges-de-Noisné and sleeps 16 people. It has WiFi, barbeque facilities and parking nearby. 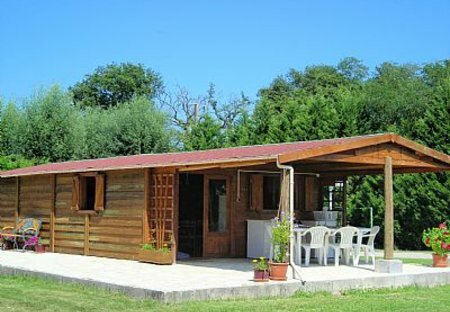 This 2 bedroom house with private pool is located in Brossac and sleeps 4 people. It has WiFi, a garden and barbeque facilities. This attractive traditional périgourdine style house is a very well equipped holiday house to receive children and teenagers with play-park and table tennis. This 6 bedroom house with private pool is located in Saint-Julien-de-Crempse and sleeps 12 people. It has WiFi, air conditioning and barbeque facilities. This lovely detached holiday home with 3 bedrooms and 2 bathrooms, features an indoor swimming pool with slidiong doors to a wonderful terrace. A stunning location with breathtaking views across the valley and surrounding countryside in one of the most sought after areas of the Dordogne. This 4 bedroom house with private pool is located in Saint-Georges-de-Noisné and sleeps 9 people. It has WiFi, air conditioning and a garden. This 6 bedroom house with private pool is located in Urcuit and sleeps 9 people. It has WiFi, a garden and barbeque facilities. The house is near a beach. 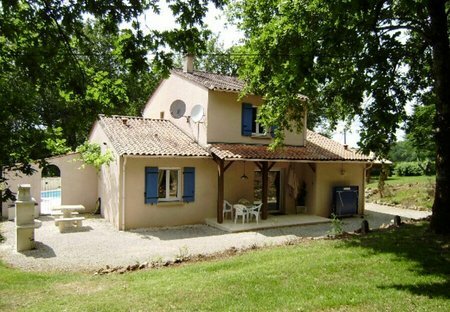 This 4 bedroom house is located in Moliets-et-Maa and sleeps 8 people. This 3 bedroom house with private pool is located in Dolus-d'Oléron and sleeps 6 people. It has barbeque facilities. The house is near a beach. This 3 bedroom house is located in Plage and sleeps 6 people. It has WiFi, barbeque facilities and garage. The house is within walking distance of a beach. This 6 bedroom house with private pool is located in Bourg and sleeps 10 people. It has WiFi, a garden and barbeque facilities. The house is near a beach. This delightful 16th Century farmhouse is fantastically located in the enchanting region of the Dordogne, just twenty minutes by car from Bergerac.